Walking Fort Bragg: Ring Too! 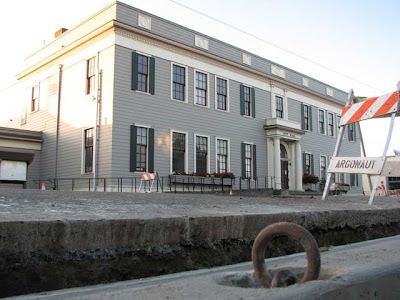 The hitching ring across the street from City Hall is now installed in the new curb. Looking north on Franklin Street towards the First Baptist Church. 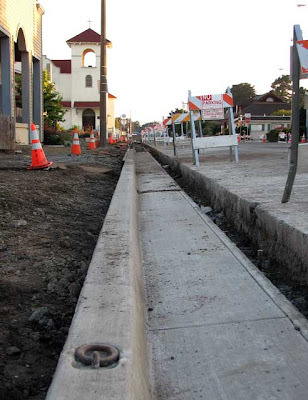 The sidewalk, to the left, will be poured next and then a lot of material will be removed from the street to bring it down to a new grade. Good to see its new home finished.